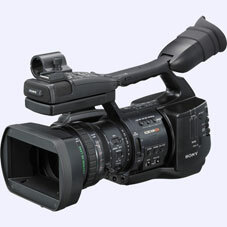 In need of some Sony EX1 or EX3 camera training? We offer one-to-one personal camera training and training for groups. This workbook is also available if you come on one of our training courses. I have made a start on the new Sony PMW-EX1 training manual. As I complete a page I will add it to the site. What may look like white light to you, can look very different to the camera. we look at how iris and ND filters work together. Plus what level to set Zebra stripes and how to use them effectively. What is gain and how much is just right? Why you need hypergain. Why you might need the shutter. Removing flicker from (CRT) computer screens.